Red velour fabric in organic cotton. Solid red velvet fabric by half the meter (50 cm). 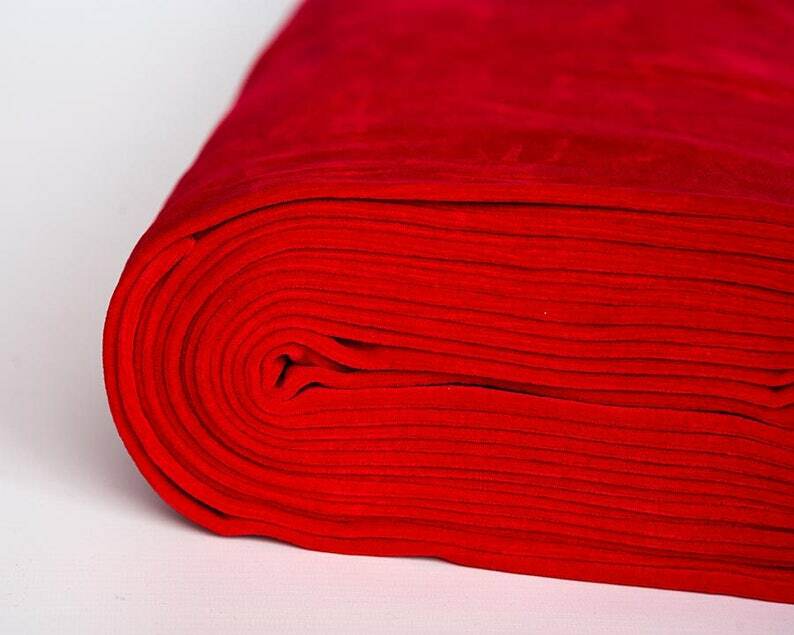 This gorgeous red velour will be perfect for holiday dresses or active wear. It is feels very soft and luxurious. Unit: sold by the 1/2 meter (a little bit over 1/2 yard) - Please contract me if you wish to get a specific length. Fibers from organic farming standard and processed in accordance with GOTS. Certification made by Controlunion.